Late July in the garden. 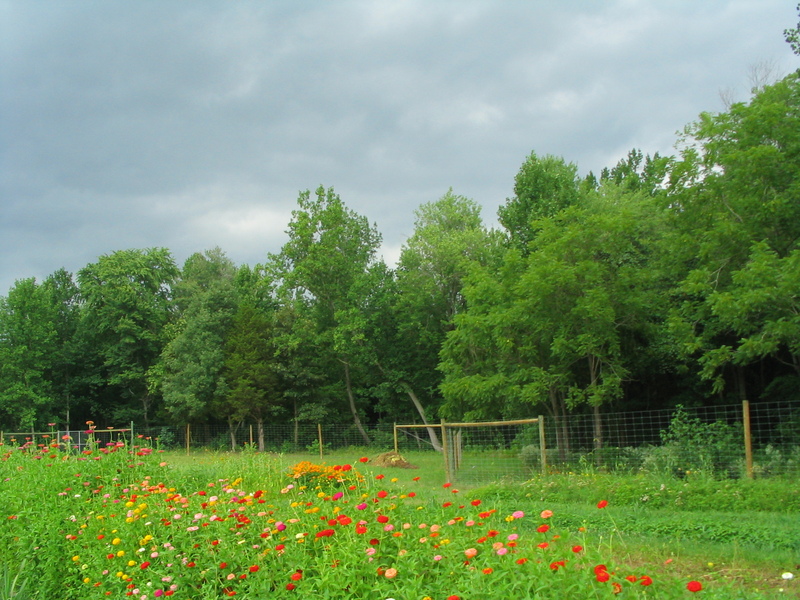 This month has been full of harvesting in the humid heat, weeding the strangling and ever-present morning glories, and trying to find the time to enjoy some of our abundance. 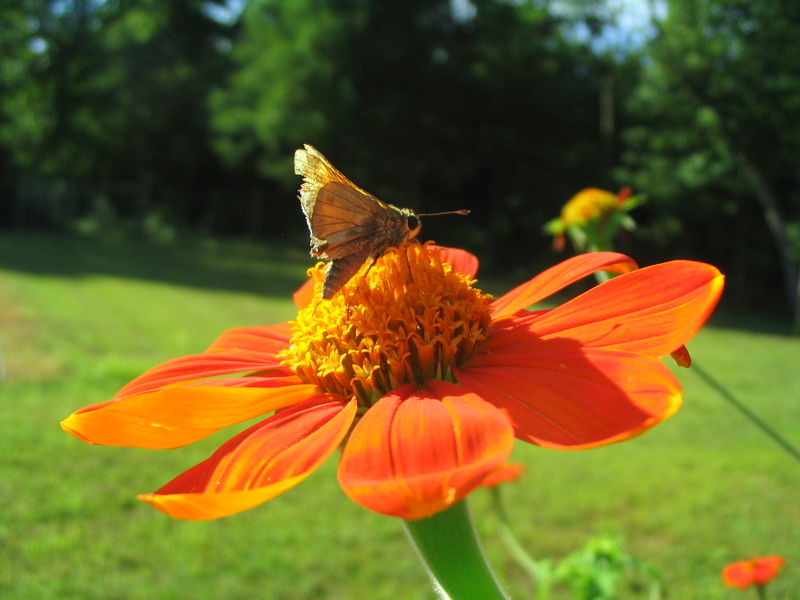 The tithonia started blooming this month, with its iridescent and velvety orange petals. 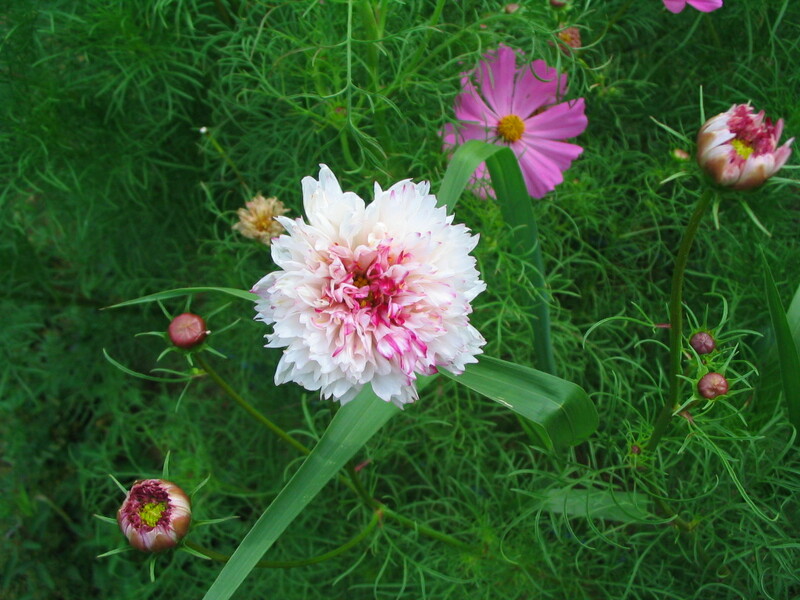 I love this cosmos ‘Double Click Mix’. 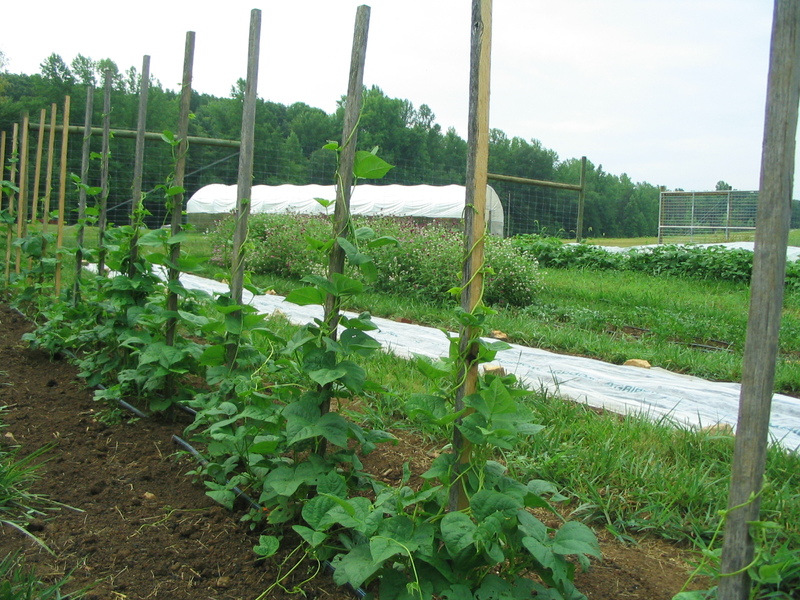 Pole beans climbing their poles. 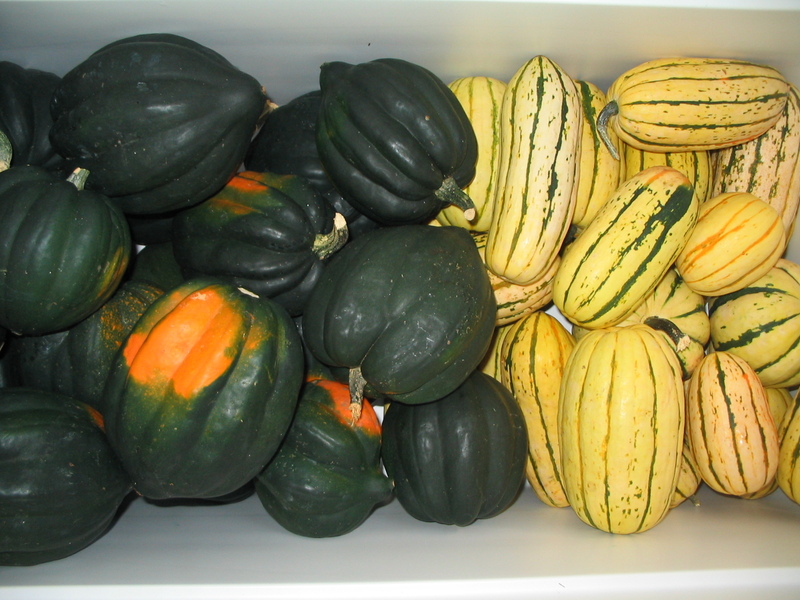 We harvested the acorn and delicata squashes. We taste tested the delicata squash. Did you know you can eat the skin too? I just cut the squash in half, remove the seeds, and place the cut side down in a pan with about 1/4″ of water. Then roast in the oven until it is done; maybe 45 minutes or an hour. You can spice it up as you wish, but we just ate it plain; it was sweet and buttery tasting and didn’t really need anything. The cherry tomatoes, still producing heavily. The blister beetles have returned in full force this year. So much so that we thought our tomato crop would be ruined by the end of the month. 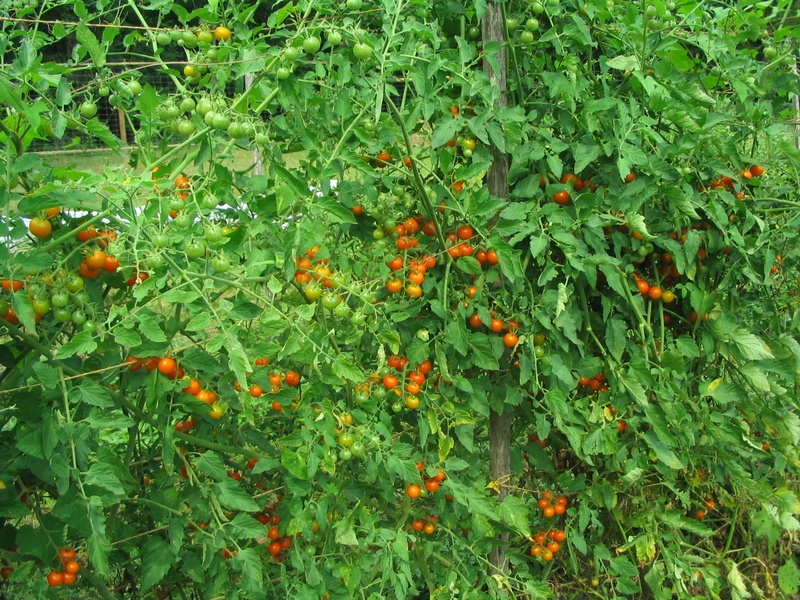 But although the beetles did some defoliation, the tomatoes seem to be strong enough to withstand the attack this year. Our swiss chard and beet crops have not fared as well. I think this is the preferred crop of the blister beetle, along with the tomatoes and eggplant. At first I tried to pull off and squish each bug, but there are too many, and my time is probably better spent doing other things at this point. We just have to hope that most of the crops are healthy enough to pull through; other crops like the chard and beets are a loss. 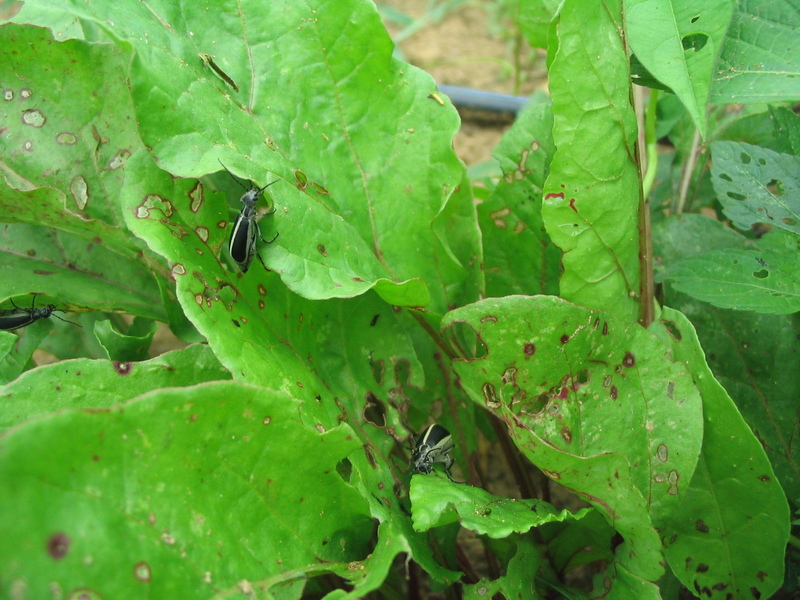 We do have a section of beets that have row cover on them, and I think we may be able to harvest these, as the blister beetles have a hard time finding them under the cover. The japanese beetles have also returned in large numbers this year. They like to eat the bean leaves until there is nothing left. I didn’t know that the japanese beetle had any enemies, but here I have been proven wrong. Now we just need a couple thousand of these predators to do their work on the japanese beetle population. We have had some much-needed rain over the past two days. Now the weeds are easy to pull out!